Do you have a growing family, but just aren’t ready to make the jump into minivan life? Do you regularly need tons of space, seating for up to 8, and plenty of power but don’t want a huge bodied SUV? If so, the new 2019 Toyota Highlander has a winning combination for drivers in Cincinnati, Ohio that is hard to beat! Everything modern families look for in a three-row crossover and more is present and accounted for in the Highlander, from five USB ports, an available strong 3.5 liter V6 engine, and a standard suite of driver safety systems, named Toyota Safety Sense. All of this, combined with a starting price of $31,230, makes the Highlander a perennial best-seller for Toyota, and a chart-topper among large three-row crossovers. If you’re still not convinced that the Highlander suits your high-style, sporty lifestyle, check out the Highlander SE, with its 19-inch machined wheels finished in black, black-accented fascia, and a sport-tuned suspension. Parenthood never looked so cool! Maybe luxury is your thing, but you’re not the flashy type who needs a luxury badge on the hood. Try on the Highlander Limited, a comparative steal at $42,280, especially considering the incredible feature content, including heated and ventilated seats, JBL premium audio, and available Platinum package. No matter which Highlander you choose, you’ll get standard advanced safety systems, acres of room, and seating for the whole family, wrapped in one of the most attractive designs to ever adorn a crossover! The new 2019 Toyota Highlander has features to keep the entire family comfortable, relaxed, and entertained. And no modern family is caught dead without their array of devices - Highlander has your back with five USB ports to keep all your gadgets juiced up and ready for adventure! Should you decide to bring literally everyone along, Highlander offers seating for up to 8. The rear seats even recline, a feature not found in many competitors. Those rear seat occupants can be kept entertained with an available Blu-ray disc entertainment system, complete with a 9-inch display, RCA inputs, a wireless remote, and wireless headphones. Should you decide to trade a little seating capacity for a little more comfort, the 2019 Toyota Highlander is also available with second-row captains’ chairs, making ingress and egress to the third row a bit more maneuverable. Those captain’s chairs are even available heated - what’s not to love about that? If the time comes to trade some seats for stuff, Highlander still has you covered. Fold the 60/40 split third row flat, flip down the second row, and you’ve got up to 83.7 cubic feet of space - again, more than most of Highlander’s competition. Getting all that cargo in is made even easier by the available power liftgate. The 2019 Toyota Highlander is also full of lots of little touches to make life just a little more special. Need a little peace and quiet in your commute? Acoustically laminated glass and sound insulation along the floor keep the cabin hushed at high speeds and soft touch panels abound throughout the cabin. An available panoramic moonroof lends an open and airy feel to the interior, especially combined with the lovely Ivory interior. Most full-size crossovers these days have advanced safety systems, but they are typically only available on expensive fully loaded models, bundled with other features you may not need or want. This makes shopping for them hard, as it can be difficult to tell which vehicle has these critical features and which do not. The 2019 Toyota Highlander makes it easy to tell which vehicles are bundled with active safety features - because every single Highlander has them as standard equipment! Lane Departure Alert with Steering Assist: This will “see” lane markings on the road and help keep you centered in your lane with audio and visual prompts. Should you continue to drift out of your lane, it can actually steer you back into your intended lane. Dynamic Radar Cruise Control: Also known among competitors as Adaptive Cruise Control, this system is like traditional cruise control with a twist - it will match the speed of the car ahead of you, up to your preset speed. If you want to cruise at 65 mph, and the car ahead of you is doing 70, you’ll keep trucking at 65. If that car ahead suddenly slammed on the brakes, your Highlander would do the same, preventing a rear-end collision. However, it will respond to situations less dramatic than this one - if the car in front slows down for traffic, your Highlander will respond in kind. Should a slower car in front of you change lanes leaving your path clear, the Highlander will accelerate back to the preset speed. Pre-Collision Alert and Pedestrian Detection: Seamlessly blending input from both RADAR and a camera mounted in the vehicle, these two safety systems work in tandem to prevent rear-end collisions. If it detects a collision is likely, your Highlander will apply the brakes using Brake Assist, and alert you with audio and visual cues. If the driver fails to act, the 2019 Toyota Highlander will reduce your speed to limit the chance of an accident, or reduce the damage. Automatic High Beams: If you’ve ever been blinded by an oncoming driver who has inadvertently left their high beams on, you’ll be glad to know that this is becoming standard fare on new Toyotas! This system uses the same camera used in the Pre-Collision Alert system to scan for oncoming cars as well as tail lights ahead, and will automatically switch between low and high beams, making the roads safer for both you and those around you. 8 advanced airbags, including a driver’s knee airbag and rollover-sensing side curtain airbags that cover all three rows. Also included on all new Highlanders is ToyotaCare, a roadside assistance program included free of charge, offering jump starts, flat tire changes, refueling, and more! You won’t find that from the competition! 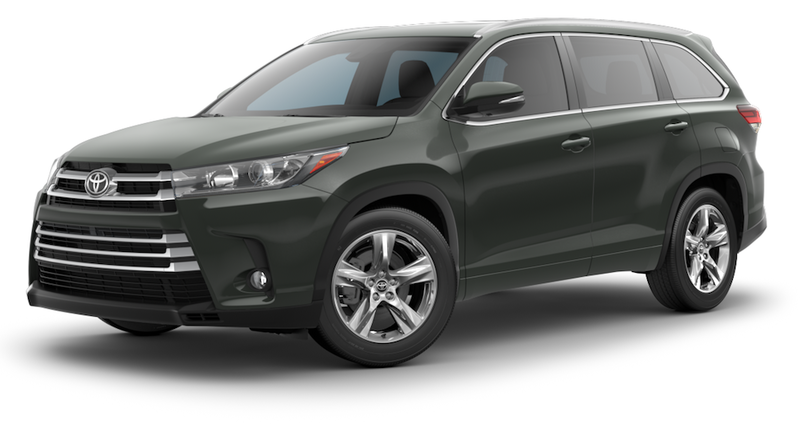 Not only is the new 2019 Highlander stylish, practical, and luxurious, it is also incredibly efficient! Whether you opt for the fuel-sipping inline-4 cylinder, the powerful but frugal V6, or the miserly hybrid, the 2019 Toyota Highlander is designed to save you money both in long-term maintenance as well as gas bills. The 2019 Toyota Highlander is the only mainstream three-row SUV offered with a hybrid powertrain, returning an astounding 30 miles per gallon in the city, and 28 on the highway. Further setting this unique offering apart is the fact that it is coupled to a V6 engine, rather than a 4-cylinder, giving it a whopping 306 horsepower! This advanced engine features Intelligent Variable Valve Timing (VVT-i), Intelligent AWD (AWD-i), and an electronically controlled continuously variable transmission (ECVT), with a sequential shift mode that mimics the gear changes of an automatic. 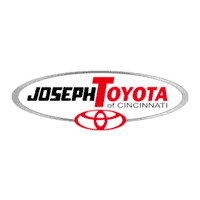 At Joseph Toyota, your time is money, and we strive every day to save you both! Buying a car should not be a chore or a pain, it is a huge investment that should be both a joy and a pleasure! With 20+ configurations of the 2019 Toyota Highlander available, we will spend as much time as you want discussing the perfect option package for you, because your satisfaction at the moment of sale is not enough - we want you to be happy in your new Toyota for years to come! Whether you come in knowing your budget, trim package, and color, or come to us without the slightest idea what you may want, rest assured that the friendly and personable sales staff at Joseph Toyota can get you into the car of your dreams, new or used! Not ready to step foot in our clean and amenity-packed dealership yet? You can check us out 24/7 at our easy to navigate website, which can answer many of your questions. Your satisfaction is our utmost priority, so come see how Joseph Toyota can make your dreams come true, at a rock bottom price. We’re here for you!